The camping is open all year. Small, terraced site with most facilities, some 20 km south of Siena. A country, hillside site, 800 m. from the village of Casciano, Le Soline has room for 80 caravans and 60 tents set on terraces beneath the main buildings. They range in size from 36-80 sq.m. and all caravan pitches have electricity (6a) and potable water. The site has its own power supply, and occupying an area of 60,000 sq. m.
There are many olive and other trees with a ground which is prevalently grassy. We have 3 bungalows and 4 mobilhomes for rent. They are situated on the 1st terrace of the camping, on the left. In front of them there is a shady, private space with table and chairs. There are also 7 beautiful chalets with veranda, for 2/5/6 persons, situated on the left of the 2nd - 3rd terrace. In front of the bungalows, mobilhomes and chalets, you can enjoy a wonderful view. All the mobile homes and bungalows have a satellite Tv. We added a whirlpool for 12 persons, covered and with warm water. 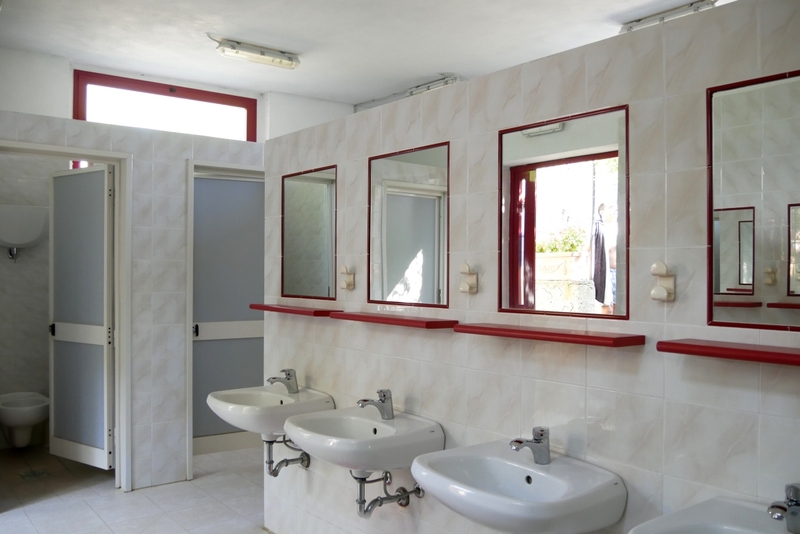 An adequate sanitary block with camper service is situated on the third terrace, providing wash basins (most with hot water) and hot showers on payment, dishwashing facilities (cold water only) and a toilet for the disabled. Laundry area and slot washing machine. The restaurant, pizzeria (all season), shop (closes Oct) and swimming pools are by the entrance, which has a large visitors car park. Horse riding is available to 6 Km. 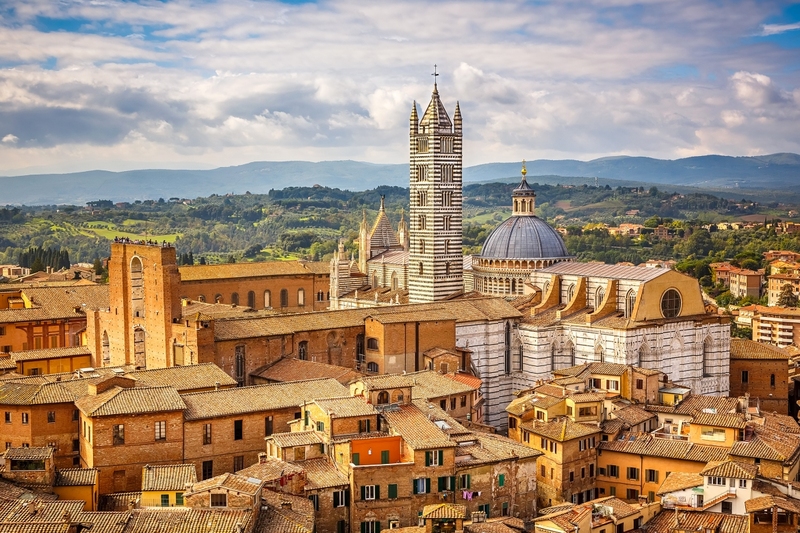 There are excellent panoramic views of the surrounding countryside and the site is well positioned to visit the many historic and cultural places in the area. 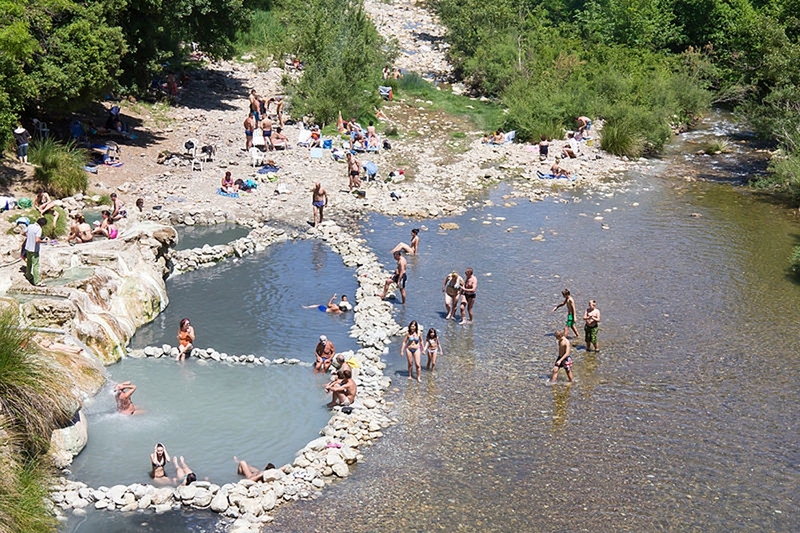 How to find it: from Siena, turn off the SS 223 Siena-Grosseto road to the left to Fontazzi (about 20 km) and keep right for Casciano, following signs. Or via Cassia SS2 cross-road Lucignano d'Arbia for Murlo. In July and August the minimum stay is 7 nights; Mobile Homes and Chalets from Sunday to Sunday - Bungalows and Chalets from Saturday to Saturday. For the rest of the year we accept bookings for a minimum of 2 nights (subject to availability). To complete the reservation you must send a deposit of 25% by bank transfer or credit card - contact us for details and availability. All accommodation must be vacated by 10 am. For new arrivals will be available before 4 pm. Bed linen, electricity, gas, heating, parking space are included. For a camping spot (tents, campers and caravans), reservations are accepted only until June 15th of each year - after this period please send an email or call for confirmation. In July and August the minimum stay is 7 nights, no minimum the rest of the year (subject to availability) It is necessary to send a deposit of 8.00 Euro for each night of stay, through ordinary postal order or bank transfer. 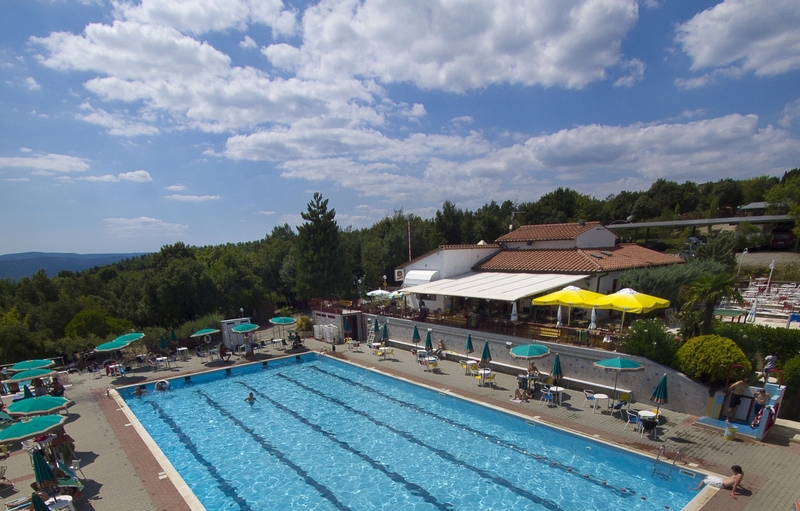 All our guests can enjoy free use of the swimming pools, including the hot tub, chairs, tables and umbrellas, as well as the play area, the BBQ area and all the camping's sports facilities.